Does anyone have a wiring diagram including pinouts for a D4 DAB module AH42-19C032-AE ? Are the antenna connections similar to a standard DAB antenna, or are they FAKRA type? I have installed a D4 sat nav in my D3. So far, so good, apart from the physical mounting. It's not easy! Still haven't quite finished, but that will have to wait until the weekend. Anyway, I came across a D4 DAB module, and I thought I'd give it a try. For test purposes, I'll temporarily disconnect the D4 bluetooth module I have and see if the sat nav unit recognises it has a DAB module connected. If it does, then I need to think about mounting it somewhere. I think that the modules are normally mounted behind the rear panel in the luggage area on the right hand side. I have had a look behind there, and there don't appear to be any unused connectors, or MOST cables. 1) Power. This should be switched on and off with the radio, so that if you are in the car and you just want to listen to the radio, then you should not need to turn the ignition on. 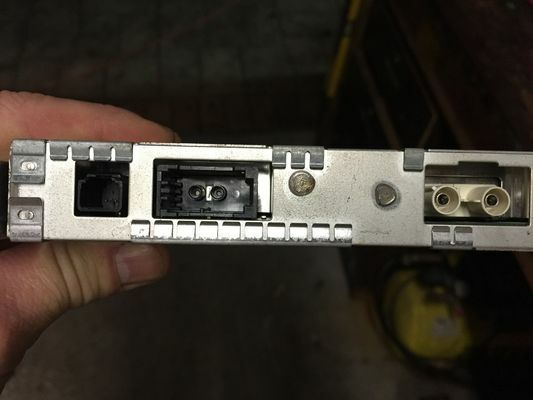 Is there anywhere in the rear panel I can pick this up from? Or could I pick it up from the power to the DVD drive, as this is no longer needed, but must have had power before as I think you can use the sat nav with the ignition off (maybe not - I can't remember). Or maybe there is somewhere I can pick it up on the internal fuse box - possibly the same place that I'm using for the Bluetooth module supply? 2) MOST. Is there a MOST cable in the rear panel that is looped back on itself, or will I need to get one? If there is no existing MOST cable, then it makes more sense to mount the unit in the front, as it will be easier to connect into the network. This is interesting. If you look at the photos of the FAKRA connector, you can see that it is a dual connector. 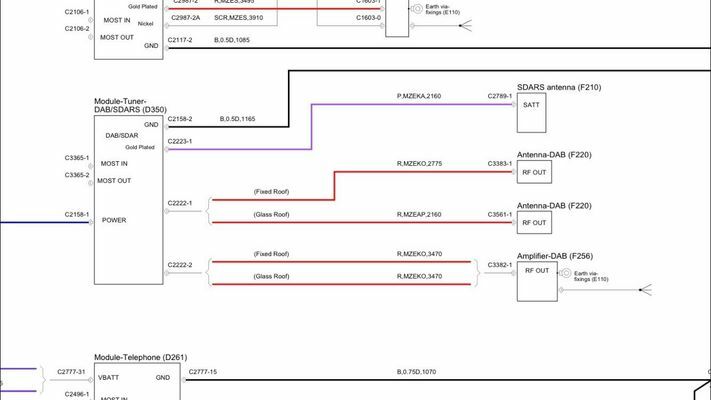 The wiring diagram suggests that C2222-2 is the connector used when you have an amplified antenna, and C2222-1 if you have an unamplified one. The left most connector in the photo appears to be a FAKRA B type, which with a bit of googling seems to be used for DAB antennas that have a built in amplifier that use a "ghost" power supply from the antenna connection. Therefore the other one must be for unamplified antennas. This means that I need a dual FAKRA connector, as looking at the connector on the DAB unit, it won't be possible to use individual plugs. Anyone know anywhere that can make me a dual FAKRA cable? It would be nice to use the built in antenna's, but I'm not too worried about that. However does the D4 use both amplified and unamplified inputs on the DAB unit, or just one? I guess I'm going to answer most of the questions myself, but I thought I'd ask the more experienced members of the team for any information thay have. How did this turn out by the way? Well so far its on hold. The D4 screen seems to know it has DAB fitted, but pressing the button does nothing. Gap were looking into that and the possibility of getting the CD controls up too. Well, they were going to give me a copy of a beta version of the software that allows you to edit the ccf file. If I can do that, I can fiddle with a few bits and bytes and see what happens. Well, had another go today. No luck. Tried a temporary antenna just in case it was that, but made no difference. I suppose the unit could be faulty, but it's a pricey business to buy another one just to be sure. I'm not sure what to do now - other than give up. Well, there's not much that can go wrong with the connections. Power is OK (else the MOST circuit wouldn't work) and the MOST circuit is OK (because everything connected to it works). It had an antenna connected of sorts. A kind person on the D4 part of this site checked the DAB setting on the diagnosics page on his D4, and the bit pattern looks to be the same as mine. So I don't really know where to go from here. 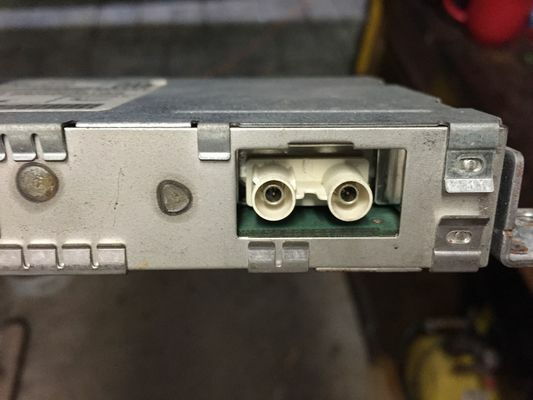 Is there any information as to what the other pins do on the connector that has the power and ground on it? Maybe they could hold the secret as to how to get this thing to respond. Just wonder if you ever got any further with this?